So you like rocks and minerals? Us too! We are glad you are here to Dig Into Geology. In this area you can learn how to use a hand lens and a streak plate. You can also find out how to use household items to determine the hardness of a mineral. If you have any of our Mini Me Geology rock and mineral kits you might like to print a free identification flow chart to help you figure out the names of your samples. Have a question? Submit your question to our geologist in the Ask-a-Geologist section and she will reply to you on video! For some extra fun, test your earth science knowledge and word find abilities with Mini Me Geology’s Dig-Into-Geology Puzzles. All of our puzzles in this section are free to download and enjoy. Our puzzles make great educational fun for kids stuck home on rainy days, homeschooling, or teachers who are looking to supplement their geology science lessons. Try a rock and mineral puzzle today! Are you interested in any of our eBooks? You can find samples of our eBooks in this section as well. Each sample is a free, PDF download that you can view on your computer or print to examine. 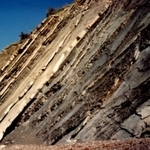 We hope you like the sample pages and if you have any questions about our rock and mineral and geology eBooks, just contact us here. Do you have questions about geology, rocks and minerals and you can’t find the answers? Then ask a geologist! We have an extensive list of questions so far so browse through and see if your question is already answered. If you don't see what you're looking for, click here to ask your own question. 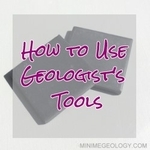 Learn how to study rocks and minerals using a hand magnifier lens, white and black streak plates and the Mohs Hardness Scale for minerals. Identification flow charts are fun way to kids to learn to identify samples. These printable charts include common rocks and minerals and will help you identify the samples in your Mini Me Geology kits. Mini Me Geology books are great for home and school. Download a sample of our books to get an idea of which ones are right for you. 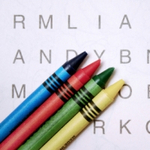 Grab free rock, mineral and geology crossword puzzles and word find games to use at home and school!